Bună seara from Iasi! The weekend is not over before Romania says so. The first semi-final has just concluded, and with that we now know half of the songs that will compete in the final in Bucharest. 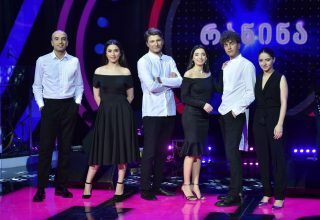 Live from the Moldavian capital of Iasi, in northern Romania, 11 acts competed in the first semi-final in order to progress to the final and another shot of performing for the Romanian viewers. Originally, 12 songs were due to perform in this semi-final, but after an agreement with TVR, Laura Bretan was moved to the second semi-final. 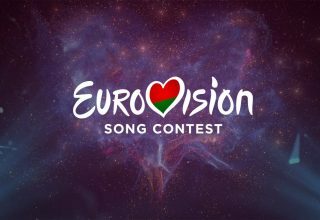 Therefore 13 songs will compete in the other semi-final, which is going to take place in the city of Arad. Luckily, TVR didn’t go all crazy like last year (Yeah, come on! 60 songs across 6 shows, that was a nightmare! 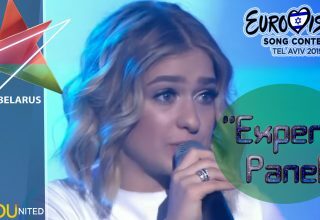 ), and limited themselves this time, after a fast introduction from the hosts and an opening show featuring past Romanian winners, we went straight to the songs. The qualifiers from tonight were mainly decided by the juries, and the jury consisted of these following five individuals. 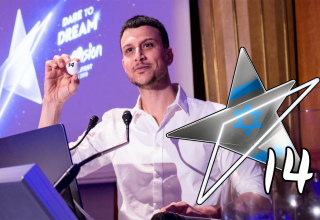 The juries were set to select 5 of the 11 competing songs that would qualify to the final, while the televote was given the possibility of saving one song that didn’t qualify through the jury vote. These songs gathered the most points from the jury, and will perform once again in the final. All acts were invited back on stage and even handed an envelope, which all the acts had to open in order to see if they qualified or not. The six highlighted songs will now take part in the final on the 17th of February live from Bucharest. What do #YOU think about the results and did #YOUR favorite qualify tonight? Share your thoughts with us on our forum HERE or join the discussion below and on social media!